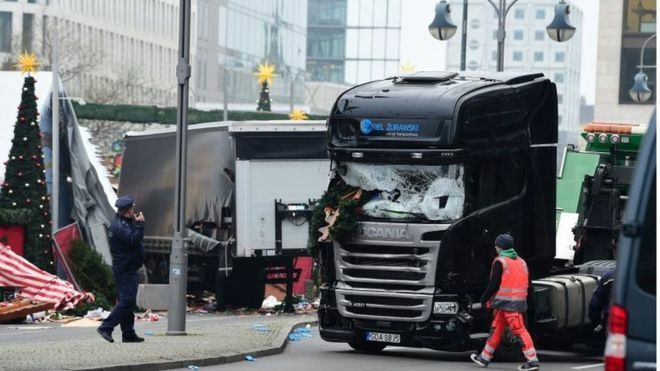 A lorry ploughed into a Christmas market in Berlin on Monday evening, killing 12 people and injuring 48. Monday’s incident in Berlin was reminiscent of the lorry attack on Bastille Day crowds in the French city of Nice on 14 July, claimed by so-called Islamic State (IS). Berlin police have renewed their calls for people in the city to report anything suspicious that will help them with their ongoing enquiries. Warwickshire have their own reporting mechanisms for anyone who may be concerned about a person’s extreme ideologies or behaviour relating to any type of extremism or terrorism. If you have any worries or concerns, or would like more information on Prevent, the signs and behaviours linked to extremism or radicalisation, please contact Warwickshire Police and West Mercia Police Prevent officers on prevent@warwickshireandwestmercia.pnn.police.uk. Channel is a multi-agency approach to protect people at risk from radicalisation. Channel is about safeguarding adults and children and about early intervention to protect and divert people away from the risks they face. Individuals referred through to the panel are in the ‘pre-criminal space’, support is not imposed upon them and generally people agree to the help offered to them. If you have concerns about someone who may be vulnerable and would like a referral form please refer to the Safe in Warwickshire website www.safeinwarwickshire.com/prevent Referral forms can be found under the section ‘Warwickshire Channel Process’.